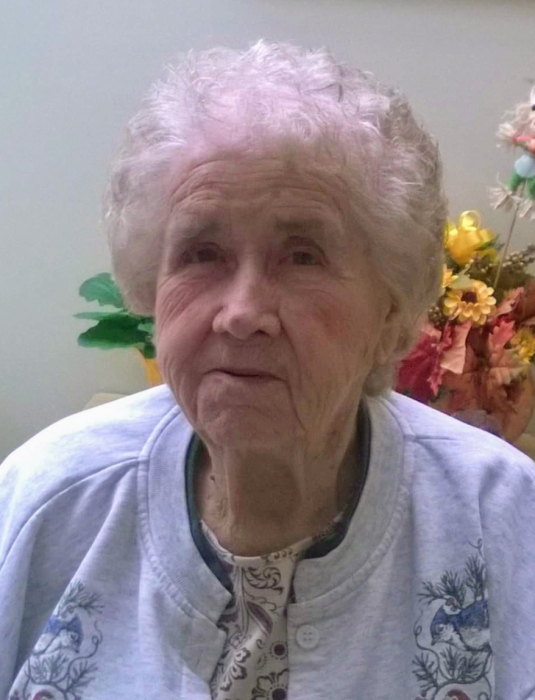 Alice Elizabeth Fike, age 94, of North Branch passed away on Monday, April 15th, 2019 with her loving family by her side. Alice was born in North Branch on April 28, 1924 to William and Marguerite (Gardner) Thompson. She graduated from North Branch Area Schools in 1942. On April 6th, 1944 she married Roy Fike and together they made their home and raised their family in the North Branch area. Alice always put her family first. She worked tirelessly to provide a loving home and above all else cherished her children, grandchildren and great-grandchildren. She loved to cook, bake and will always be remembered for her famous pies. She is survived by her children; Alan (Pat) Fike of Woodhaven, MI; Bonnie (Fike) Hanna; Randy (Virginia Zuhlke) Fike; Terry (Janet) Fike all of North Branch; Sue (Ken) Schneider of Mayville, MI; Dennis (Barbara) Fike of North Branch; Denise ( Fike) Thompson of Caledonia, MI and daughter-in-law Lynne Fike of North Branch. She is also survived by 16 grandchildren, 17 great-grandchildren and dear friend Charlotte Bischoff. She was preceded in death by her parents, husband Roy, son Roger, granddaughter Morgan and brothers Jack and Ward Thompson. The family would like to extend a sincere thank you to the staff at Fisher’s Senior Care and Rehab for the loving care they provided Alice during her stay there. Visitation for Alice will be on Thursday, April 18th, 2019, 11:00 A.M.-8:00 P.M. and Friday, April 19th, 2019, 9:30 A.M.-10:30 A.M. at Blackburn Chapel. Funeral Service will follow at 10:30 A.M. with Pastor Peter Damaska officiating. Alice will be laid to rest next to her husband Roy at Maple Grove Cemetery.